The Big Idea: Rethinking the words we use to describe kids can go a long way in reframing our approach to challenges…and in managing our own frustrations! Instead of “loud,” try thinking of him as “full of life” or “full of energy.” Try explaining the difference between “inside voices” and “outside voices” and encourage lots of outside noise! 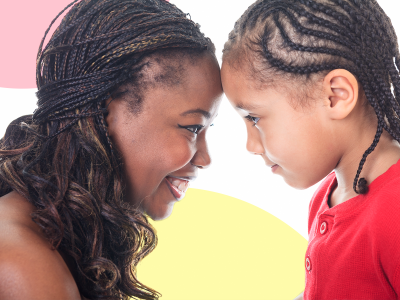 Instead of “dramatic,” try thinking of him as “soulful.” Kids may express big feelings in big ways, and some are more overwhelmed by these waves of emotions than others. Instead of “clingy,” try thinking of her as “loyal” and “loving.” You can reassure her that you love her and will always come back for her when you have to separate. Instead of “fearful,” try thinking of him as “careful” or “cautious.” Remind him you’ll help keep him safe and that it’s okay to try new things.